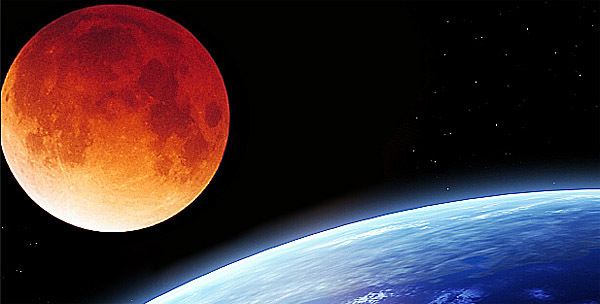 Sunday, September 27 is a Super Blood Moon! And it’s creating quite a stir. 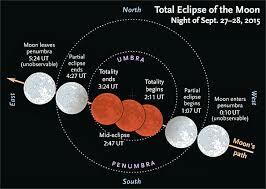 Walk outside and you will see a total eclipse of the moon. 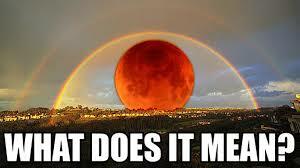 In addition to the Lunar Eclipse, we will have a Supermoon, which of course results in a rare Super Blood Moon. And some prophecy-hungry folk are going nuts with it. And they are right about one thing at least, and that is that we will behold a pretty special event. First you have a Full Moon, which is totally incredible to behold if you ask me. I love getting away from the city lights and staring at the moon when it’s full. Awesome. But the moon will be at its closest location to earth. That makes it look about 14% larger than usual. Now combine that with a total lunar eclipse. This means the moon passes behind the earth, right into its shadow, giving it a red tint, and bam, you’ve got yourself a Super Moon Lunar Eclipse, or as some prefer, a Super Blood Moon, which sounds much more apocalyptically significant. It’s a rare thing for sure. It’s only happened five times since 1900, one of those the year I was born, and the last time was 1982 when the first CD player was sold (you could play Michael Jackson’s Thriller on it which also came out that year). The next time the sun, moon, and earth will be perfectly stacked in a row like this, with the earth in the middle, you’ll be 18 years older. So you might want to catch this one. This is always a good time to remind ourselves that the only thing we really know about when Jesus returns is that we don’t know when he will return. Regarding the end of the age Jesus tells us to “be on your guard” and that “the sun will be darkened and the moon will not give its light.” (Mark 13:23). But Jesus’ main point comes when he says, “No one knows about that day or hour, not even the angels in heaven, nor the Son, but only the Father.” (Mark 13:32). So when people pretend to know something about when “the world ends” or “Christ is returning” they are saying they are privy to top secret God-files even Jesus doesn’t have clearance to see. Whenever you hear someone announcing that they have a special prophetic angle on when Christ will return, because this or that celestial body is acting strangely or we will see a super blood moon, or the planets are aligned in such a way that is referred to in the Bible, yada, yada yada, you can just politely smile and stop listening, because according to Jesus they don’t have any idea what they’re talking about. So sure, blow off the goofballs who seize these astronomically interesting events to jabber about their prophecies. But just because they don’t know when Jesus returns doesn’t mean he isn’t coming back tomorrow. And on that great and terrible day, he will gather from the ends of the earth all those who have trusted him. Our faith will be sight, and we’ll go home. Don’t worry. You won’t miss it. And think about it: the big deal about Jesus coming back is not WHEN he comes back. The big deal is WHO he comes back for. And as far as YOU are concerned, that’s something you have total control over. Keep calm and trust Christ, ya’ll. For one night, the beauty of creation caused millions upon millions to gaze into the dark sky while pondering the science, the beginning, and the silence of the night. 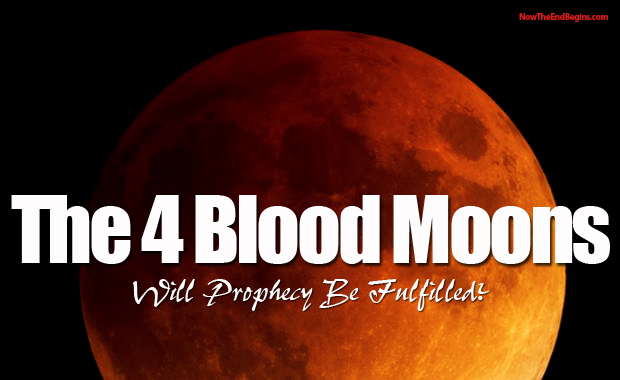 The Blood Moon or as some would say the Harvest Moon serves as a reminder that Jesus lived and died for us and the Father’s desire is the harvest, that at the name of His Son every knee will bow and every tongue confess that He is Lord. In that holy moment of awe and inspiration people around the world embraced the creation of the Creator. As you have written, the Modern Day Prophets do anticipate the return of Christ. Let this blood moon remind us not be sterile in our journey of faith but to live out each day with fresh awareness of the joy of our salvation. Nice Write, Friend.